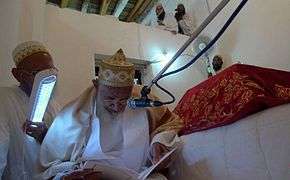 Arwa bint Asma (Arabic: أروى بنت أحمد بن محمد بن جعفر بن موسى الصليحي الإسماعيلية‎‎ Arwa bint Asma Muḥammad ibn Jaʿfar ibn Mūsá ṣ-Ṣulayḥī al-Ismā'īliyyah, c. 1048–1138, died 22nd Shaban, 532 AH) was the long-reigning ruler of Yemen, firstly through her first two husbands and then as sole ruler, from 1067 until her death in 1138. She was the greatest of the rulers of the Sulayhid Dynasty and was also the first woman to be accorded the prestigious title of hujja in the Isma'ili branch of Shia Islam, signifying her as the closest living image of God's will in her lifetime. She is popularly referred to as as-Sayyidah al-Ḥurrah "the Noble Lady" (السيدة الحرة), al-Malika al-Hurra "the Noble Queen" (الملكة الحرة al-Ḥurrātu l-Malikah) and the Little Queen of Sheba (ملكة سبأ الصغيرة Malikah Sabā' aṣ-Ṣaghīrah). Arwa was born in 440 Hijri, 1048 in Haraz, which was the heartland of Isma'ilism in Yemen. She was the niece of the then ruler of Yemen, Ali al-Sulayhi. Orphaned at a young age, she was brought up in the palace at Sana'a under the tutorship of her aunt, the formidable Asma bint Shihab, her mother in Law, co-ruler with, and wife of, Ali bin Muhammad. In 1066, at the age of 17, Arwa married her cousin Ahmad al-Mukarram bin Ali (bin Muhammad As Sulaihi), with the city of Aden as her mahr, and Queen Asma bint Shahab became her mother-in-law. Arwa assisted her mother-in-law and her husband after death of Ali al-Sulayhi. She had four children, Muhammed, Ali, Fatimah and Umm Hamdan. Arwa is said by the chroniclers of her time to be brave, devout and have an independent character. She was also seen as highly intelligent and well learned, having a great memory for poems, stories and historical events. She was very knowledgeable in the sciences of the Quran and the hadith. The chroniclers also mention her as being extremely beautiful. 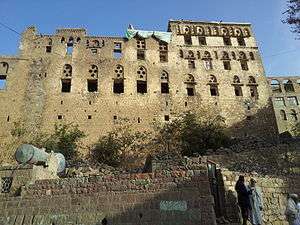 Following the death of Sayyidna Ali al-Sulayhi in 1067, Sayyada Arwa's husband Ahmad became the de jure ruler of Yemen, but he was unable to rule being paralyzed and bedridden. He gave all of his power to Arwa, and she had her name mentioned in the khutbah directly after the name of the Fatimid Caliph, al-Mustansir Billah, signifying her authority to rule. She reigned as co-regent of her mother-in-law until the latter's death in 1087. In contrast to her mother-in-law, queen Asma, Arwa did not appear unveiled when she attended councils as Asma had famously done. The reason for this was reportedly that because she was much younger than her mother-in-law, this would have been more risky in her case to follow that example. However, although she was veiled, she still attended state councils in person and thus mixed with men, and refused to conduct the meetings hidden by a screen. One of her first actions was to move the capital from Sana'a to Jibla in order to be in a better position to destroy the Najahid ruler Sa'id ibn Najar of Zabīd and thus avenge her father-in-law's death. This she managed to do by luring him into a trap in 1088. She built a new palace at Jibla, and transformed the old palace into a great mosque where she was eventually buried. After the death of Ahmad al-Mukarram, Sayyada Arwa was encouraged by al-Mustansir Billah to marry her late husband's cousin, Saba ibn Ahmad. This she did reluctantly in 1091 in order to remain in power, but she probably did not allow the marriage to be consummated. She continued to rule Yemen until Saba died in 1101. From that time on she ruled alone. Arwa was an Ismā‘īlī Shi’i and was well-versed in various religious sciences, Qur'an, hadith, as well as poetry and history. Chroniclers describe her as being incredibly intelligent. She was given the highest rank in the Yemen dawah, that of hujjat, by Imām al-Mustansir Billah in 1084. This was the first time that a woman had ever been given such a status in the whole history of Islam. Under her rule, Shi'a da'is were sent to western India. 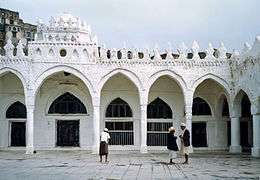 Owing to her patronage of missions, an Ismāʿīlī community was established in Gujarat in the second half of the 11th century, which still survives there today as Dawoodi Bohra, Sulaymani and Alavi. In the 1094 schism, Arwa supported al-Musta'li to be the rightful successor to al-Mustansir Billah. Due to the high opinion in which Arwa was held in Yemen and western India these two areas followed her in regarding Imām al-Musta'li as the new Fatimid Caliph. Hafizi Ismāʿīlīsm, the following of al-Hafiz, intimately tied to the Fatimid regime in Cairo, disappeared soon after the collapse of the Caliphate in 1171 and the Ayyubid invasion of southern Arabia in 1173. But the Taiyabi dawah, initiated by Arwa, survived in Yemen with its headquarters remaining in Haraz. Due to the close ties between Sulayhid Yemen and Gujarat, the Fatimid and Taiyibi cause was also upheld in western India, which gradually became home to the largest population of Taiyabis, known there as Sulaymani and Dawoodi Bohra. In Sana'a, Arwa had the grand mosque expanded, and the road from the city to Samarra improved. In Jibla, she had a new palace and the eponymous mosque constructed. She is also known to have built numerous schools throughout her realm. Arwa improved the economy, taking an interest in supporting agriculture. Arwa remained in power until her death in 1138. She was buried beside the mosque that she had had built at Zi Jibla. Her tomb later became a place of pilgrimage. The Queen Arwa University in Sana'a is named after her. Fatima Mernissi. The Forgotten Queens of Islam. Wikimedia Commons has media related to Queen Arwa mosque, Jibla.